On 30 May 2018 the Vice-Minister of the State Administration for Market Regulation of the People’s Republic of China, Mr Tang Jun and his delegation visited the Hungarian Intellectual Property Office (HIPO). The delegation was received by Mr Viktor Łuszcz, President of HIPO. 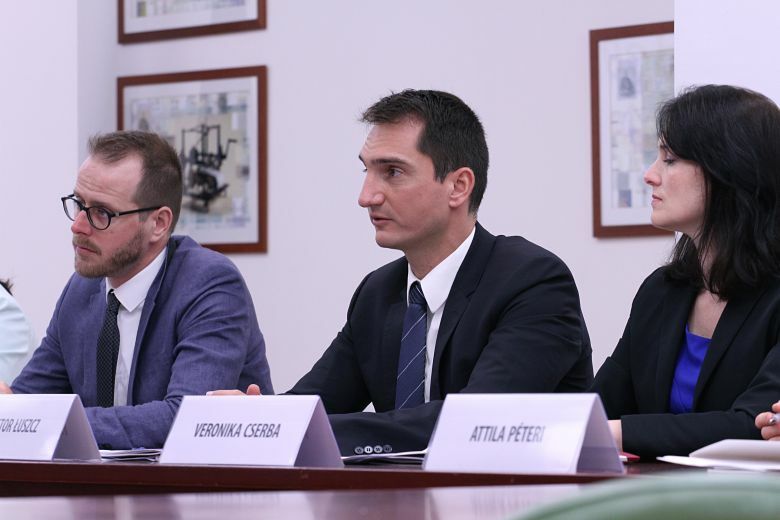 The guests wished to learn mainly about the Hungarian trademark application procedures, the legislation related to trademarks and the position of HIPO within the governmental structure. In addition, they provided information on the changes related to Chinese authorities dealing with intellectual property and also on the Chinese trademark application activity. At the end of the meeting both parties expressed their intention to continue the cooperation.